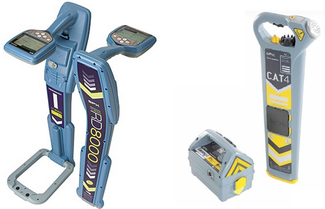 Several EasyLocator HDR models suited for GPR utility/services locating operations ranging from simple Locate 'n Spray to full RTK GPS surveying. Choose from ultra compact carts to full Rough Terrain Cart. Mala Easy Locator Pro WideRange HDR, with the widest GPR antenna bandwidth available for untility detection on the market is the newest edition to the Easy Locator product range. Mala Easy Locators mean end to end solutions for effective utility detection. Robust foldable GPR-systems with exceptional data collection capabilities, offerimg results within minutes, directly onsite. The MALA Ground Explorer has full surveying capabilities with interchangeable shielded antennas from 80 - 750 MHz. Your perfect choice for depths down to 10 metres. Features includes 3D mapping, GPS integration, data processing. The CX GPR Concrete Scanner is a high frequency system with antennas in 1.2, 1.6 and 2.3 GHz range. An 50/60Hz power sensor is included to avoid live/loaded power cables in the slab.Cut and core concrete with confidence when it has been cleared using MALA CX concrete scanner. The MALA ProEx System is our fully-flexible GPR range. You can connect up to 8 different antennas in the standard configuration but over 30 when combined with the MIRA system. 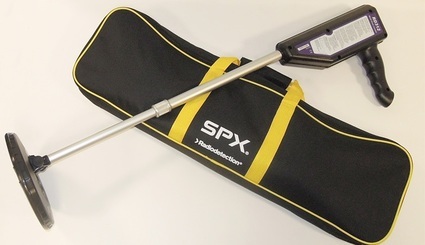 The ProEx us usually used for exploration, research or geological mapping. The MIRA Array GPR solution is a turn-key solution for rapid 3D GPR data questioning. Up to 31 channels of data at 200, 400 or 1300MHz. The system can be used for utility locating, archaeology and infrastructure projects. GPR Processing software is essential when performing survey grade investigations. MALA GPR has experienced staff who can assist you with your processing requirements. Data can be processed in 2D or 3D depending on what your area coverage is. For processing assistance contact our Special Projects division. The ABEM Terrameter LS was launched in 2009, introducing features previously never seen in commercial resistivity meters. The new generation - ABEM Terrameter LS 2 pushes the boundaries even further. ABEM Terrameter LS 2 continues its great heritage of adding advanced and useful features to resistivity meters. The ABEM Terraloc Pro is a versatile seismograph that can be used with any type of seismic accessory for every possible application. In October 2017, ABEM Terraloc is adding a new seismograph to the family, which will further increase the quality with improved stability and enhanced user experience. ABEM WalkTEM provides an intuitive user interface combined with stunning performance, making it a powerful tool for surveys in the geological near-surface. ABEM WalkTEM applications include groundwater and mineral exploration and environmental investigations. Widely recognised as the best electromagnetic wand in the world the RadioDetection brand is your no 1 choice for utility detection. Three ranges are available according to you requirements. The Radiodetection RD312 locates lost or hidden metal covers in the street. It is light and simple to use. The RD312 will typically run for 30 hours from a 9v alkaline battery. The RD312 locator reduces time wasted looking for lost covers and is the right choice for speeding up site work and achieving fast payback. The RD316 is lightweight, waterproof and the easy grip design allows it to be comfortably used for long periods. The RD316 can detect objects such as surveyor’s markers, valve boxes and manhole covers down to 2.5m (8 ft). The RD316 Magnetic Locator is a versatile, easy to use yet cost effective instrument for locating buried ferrous metal objects. The S321 GNSS Survey smart antenna is Hemisphere's all new multi frequency smart antenna. The S321 provides a robust performance and high precision in a compact and rugged package.